It’s hard to believe its been ten years since Game released Documentary, announcing his presence on the hip hop scene in a big way. You can’t make a bigger splash in the scene than coming in with the likes of Dr. Dre and 50 Cent touting your talents. The Documentary was a razor sharp album in every way and rightfully remains a classic release in new millennium hip hop. The mixture of Dre’s beats and hooks, Game’s harsh worldview and the easy chemistry between his gruff delivery and 50 Cent’s smooth flow make for a wicked cocktail of classic west coast hip hop with modern techniques. Since the release of that album, The Game has remained an uncompromising figure in the music scene with a string of studio albums and mixtapes that have served to further not only the artistic achievements of the man, but also the stories that swirl around his life past and present. This record kicks off the same way the first Doc did, with an intro leading into one of the best songs on the record. ‘On Me’ immediately references Dre’s verse in ‘What’s the Difference’ from 2001, with Game’s own twist of course, over whispy beats and a heavy bass line that current wunderkind Kendrick Lamar easily rolls over in his brilliant delivery. ‘Step Up’ and ‘Don’t Trip’ are old school hip hop beats with call out proclamations with a little help on the latter from Ice Cube, which just helps sell the point. ‘Standing On Ferraris’ takes Biggie’s ‘Kick In the Door’ hook and slows it down to great effect. ‘Circles’ presents a portrait of marital discord with a little help from Q-Tip and Sha Sha, while ‘Mula’ is not only one of the grittiest songs on the album and uses Kanye in a different way than you would think, but it works. ‘The Documentary 2’ is probably the best joint on this album, using a fresh Dre beat to announce the re-arrival of a rap superstar. I’m not a big fan of Jelly Roll’s contributions on a couple of these tracks, and while Drake’s collaboration on ‘100’ is tight and sharp, Future’s silly auto tuned voice adds an unnecessary level of cheese to the song ‘Dedicated’. Sequels to classic albums, not unlike sequels to classic movies or novels, are tricky to pull off. The immediate anticipation by fans and critics to see how the new album measure’s up to the old one promises there will be a divide, whether the album is a success or not. You’re always going to have fans of the first record who don’t like that the sequel isn’t an exact copy. And while I’ve never heard a sequel album yet that matches its predecessor, that doesn’t mean that they’ve all been failures. Raekwon’s Cuban Linx, II was a great record, as was Dre’s 2001. Nas’ Stillmatic was a welcome return to form, while Eminem’s Marshal Mathers 2 shows the MC at the top of his game in terms of delivery and flow, even if the album doesn’t have the impact and sharp production of the first. 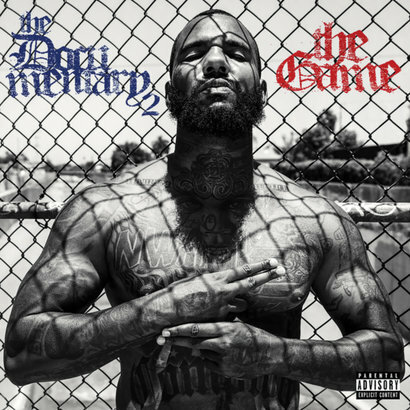 Likewise, The Documentary 2 doesn’t quite reach the bar set by the first chapter, but it is a worthy follow up and a welcome return collaboration between Game and Dre & Co. Between the beats, the production, the stories the lyrics tell and The Game and (most of) his guests’ deliveries of those stories, Documentary 2 is and will remain one of the best hip hop releases of 2015.